How to sight a crossbow? 20" 32 - 35" / 6 lbs. 2 ozs. - Somewhat front heavy Small Game Hunting? About the only things we needed to add were some hunting broadheads and a crossbow target capable of stopping the super-fast arrows. SA Sports has really brought a cool (or should we say “tacti-cool”?) offering in the Empire Aggressor. When you first take a look, it looks like something that belongs in a movie where the good guys need a stealthy but deadly weapon. The adjustable stock as well as the rest of the frame really makes you feel like you are holding an AR, especially if you choose to mount the vertical fore grip on the front Picatinny rail. The Empire Aggressor is a bull pup configuration, which definitely helps with weight distribution. We would recommend not adding to many items up front as this can make it a bit front heavy. There are a number of Picatinny rails to mount lots of accessories, including one behind the trigger…haven’t really figured that one out. The side mount quiver is nice as it puts the arrows alongside the barrel, rather than across as with many other crossbows. This puts the arrows in a convenient position to grab from the quiver and quickly load. SA Sports has gone with a quad limb design to add strength while saving on weight as well. 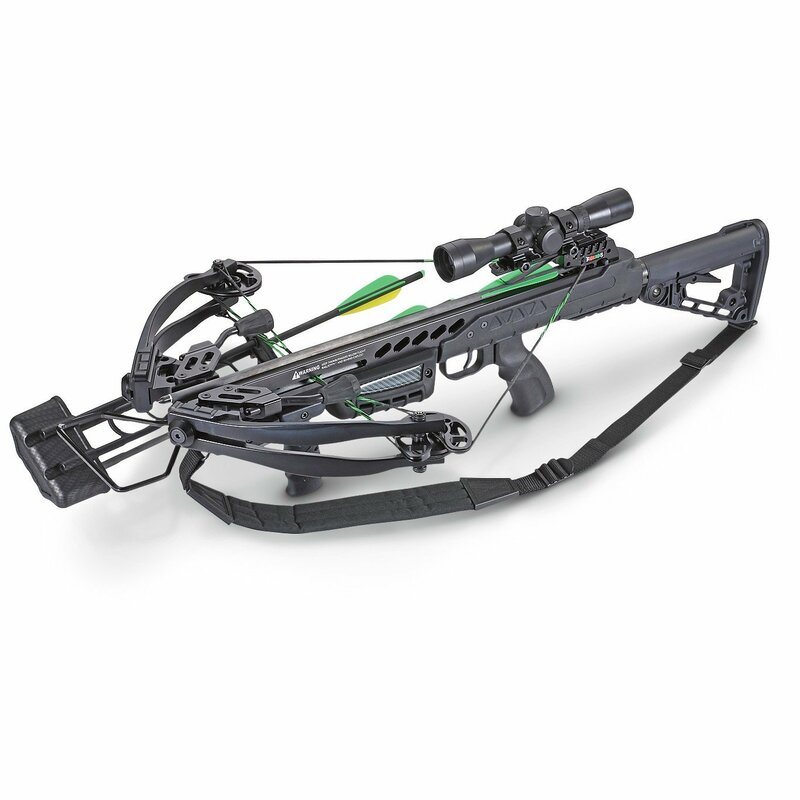 SA Sports has brought forth a very reasonably priced, yet high power crossbow with the Empire Aggressor. Firing a 20” arrow at a blistering 390 fps, means you are launching a 400 grain projectile with 135 FPKE at the muzzle. This means you are still pushing over 126 FPKE even at 30 yards. Power isn’t an issue with this bad boy. The SA Sports Empire Aggressor is an absolute pleasure to hunt with. 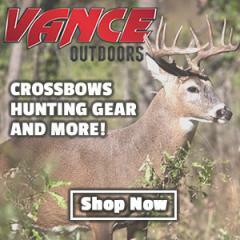 Its very reasonable weight makes toting it through the woods quite comfortable, and the ability to change the LOP means you will always be able to get the right eye relief to make the shot count. The trigger has a nice let off, right around 3.5 lbs., so you aren’t going to have to yank it to fire. We liked the narrow ATA which allowed us to really get into much tighter quarters than with a more traditional, wider crossbow. Another feature we really like was the vertical fore grip, but not for what you might be thinking. While it is easier to fire off hand with the vertical grip, we liked the fact that when you go to rest the crossbow on a support to make the shot, the vertical fore grip actually raises the crossbow a bit higher than a traditional grip, making the shot much more comfortable. The Empire Aggressor is not as noisy as other models thanks in part to the integrated string stops. We would certainly recommend an additional dampening kit to further tame the beast. Don’t forget to add something to the foot stirrup as a lot of energy is concentrated at the end of the barrel, which then ends up vibrating the stirrup. Even though it isn’t the quietest crossbow out there, that blistering speed helps make up for it! Cocking the Empire Aggressor was actually a fairly easy feat, especially considering the 185 lb. draw weight! This is in large part due to the specially designed machined cams which allow for a whopping 65% let off. When you combine that let off with a reasonable length power stroke and a good rope cocking device, you end up with a crossbow that isn’t going to kill your back, even after a day at the range. The included 4×32 scope is actually a really nice scope, especially for a crossbow that is reasonably priced. It has a good solid feel, and very crisp optics. Having the illuminated reticle means that you are not going to have to go replace it to hunt in low-light conditions. As with all multi-reticle scopes, you really need to practice with it to determine what yardage your specific configurations hits at. We were impressed that the scope was almost spot on right out of the box! The Empire Aggressor comes standard with three 20” carbon arrows. We found that these actually shot pretty well and you could probably do well to just order additional arrows from SA Sports. We do understand that many of you have your preferred brand of arrow, so if you do choose to go aftermarket, just be sure to stay with something in the 20” range, and be sure it has enough spine to stand up to the blistering speed of the Empire Aggressor. 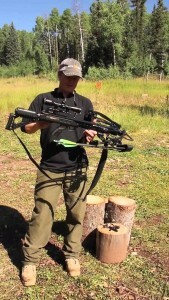 The SA Sports Empire Aggressor is overall a very nice crossbow offered at a very reasonable price point. The tactical design will not only let you look cool at the range, but also allows for adjustability so different size shooters can fit it perfectly to them. This is one case where ‘one size fits all’ doesn’t work as well. The Empire Aggressor is very hard hitting and we found it to be quite accurate, even as ranges broke the 40 yard mark. It isn’t the quietest crossbow out there, but it shoots fast enough that at ranges under 30 yards you shouldn’t have issues with your prey jumping the string. All in all, this is one we would highly recommend the budget minded shooter take a close look at. 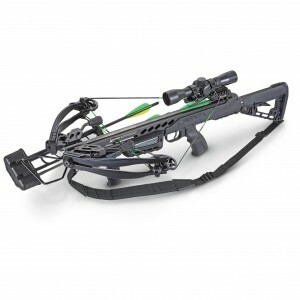 Make sure to check today's amazon.com price on this crossbow on the SA Sports Empire Aggressor if you’re interested. How good is the quality and the warranty?